Lights play a big part in a celebration of Christmas. And taking this simple idea to the digital space is easy to do. 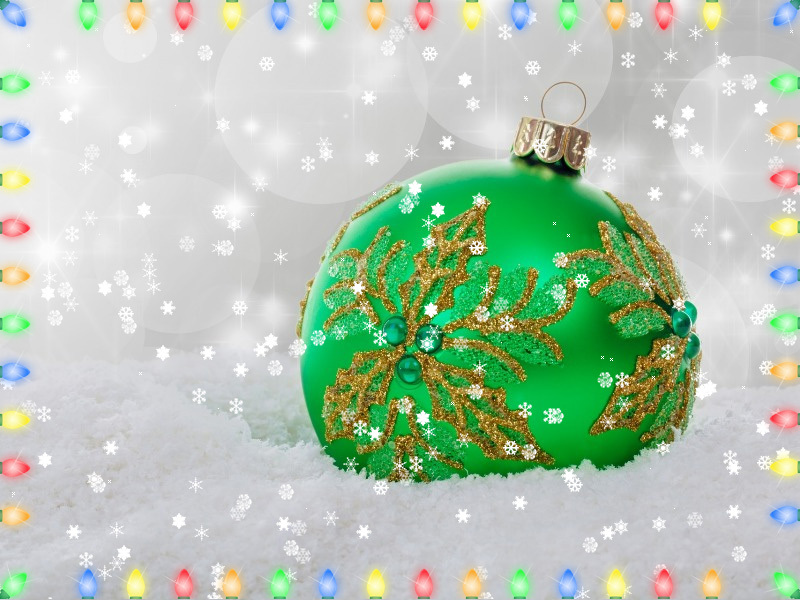 Bring the warmth and colors of Christmas to your computer screen with Christmas Elf. Add different types of Christmas lights and garlands, whether colored bulbs, pine garlands, icicle lights or more. You can adjust the mode and the speed of the flash. What is Christmas without snow? Not lucky with the weather, or just want more snow? Enjoy watching a fresh and white falling snow on your screen. No matter where you are, even in summer. It is a perfect decoration for your PC if you love winter scenes and this time of the year. The central place on the holiday is a Christmas tree. Christmas Elf provides a choice of several options for its decoration. All with flashing lights. As with the other components of Christmas Elf, some settings can be customized to your taste. Popular Christmas tunes will not allow you to forget about the approach of the holiday and will support the Christmas mood. In addition, you can turn on the pleasant background sounds of a crackling fireplace and a snowstorm. Also, Christmas Elf will help you find beautiful Christmas wallpapers. Stunning winter landscapes, cozy domestic scenes, festive composition will not leave anyone indifferent. Create a perfect atmosphere with these cool pictures. Get ready for the long winter evenings and winter holidays with these amazing decorations. eFlip Standard gives you a really unforgettable [url=http://www.pageflippdf.com/] 3D effect [/url] to your flipping book.